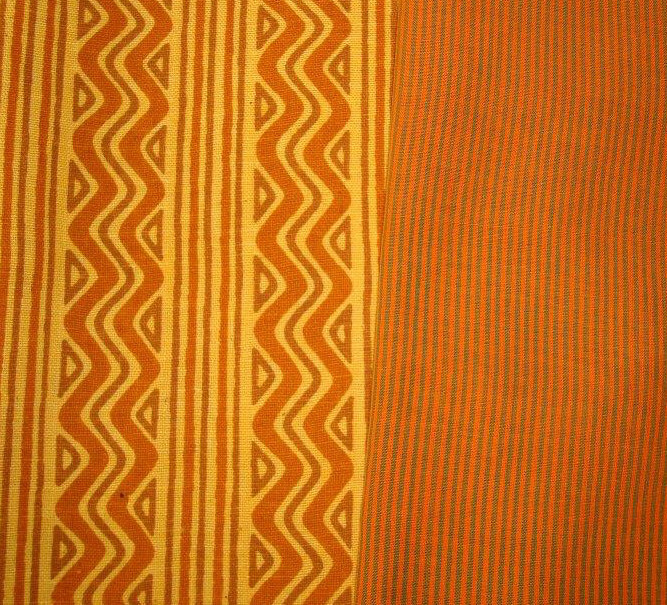 My Knowledge about this Kota fabric is minimal. It comes in silk and cotton. 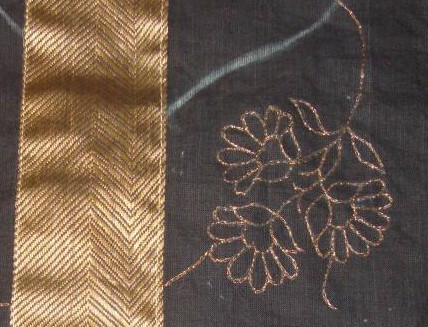 I have worn and seen sarees made of this fabric. 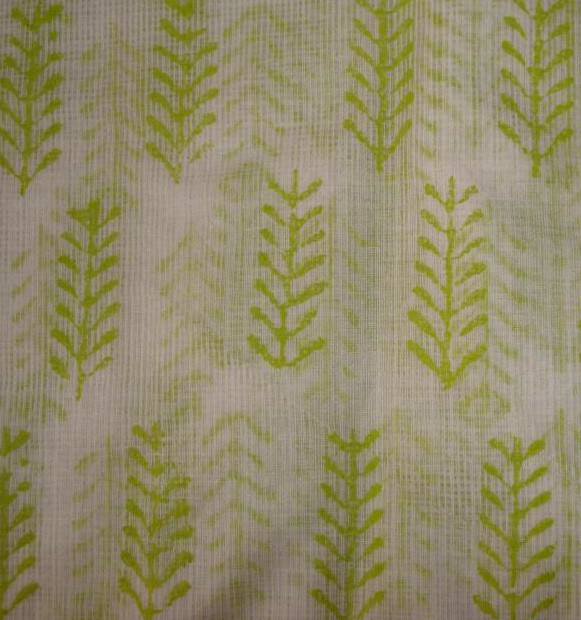 it is transparent and needs to be starched and ironed. 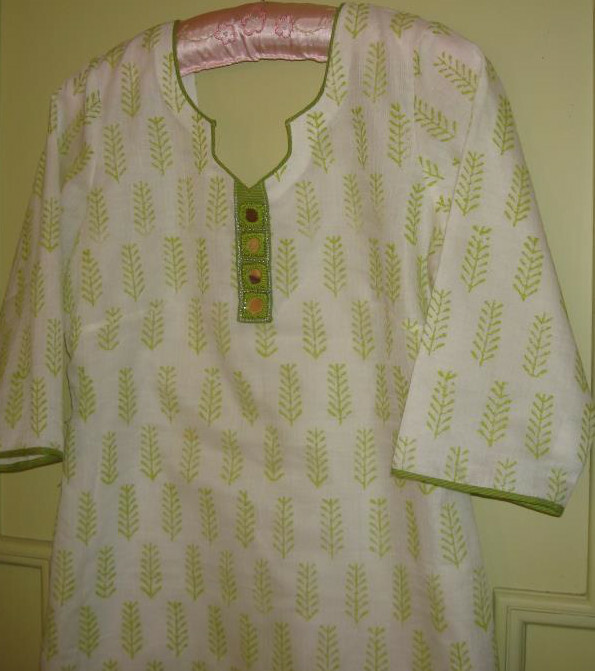 This tunic fabric is block printed white cotton Kota. 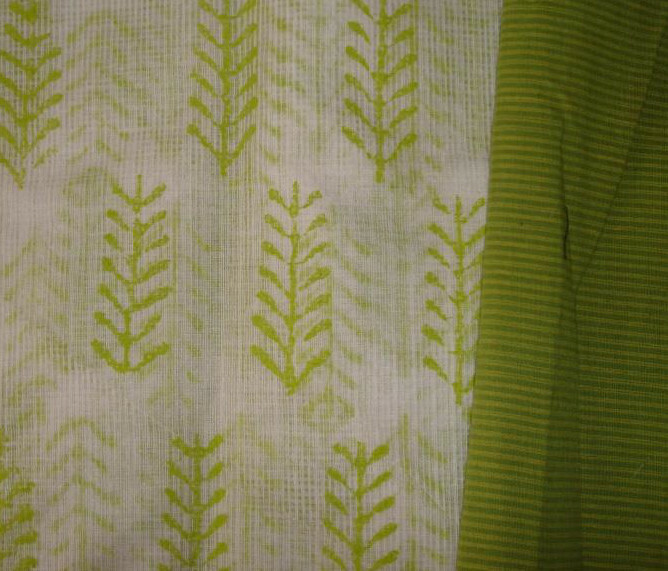 The green striped fabric is chosen for the embroidery. The bright sun is an inspiration to wear white fabrics. 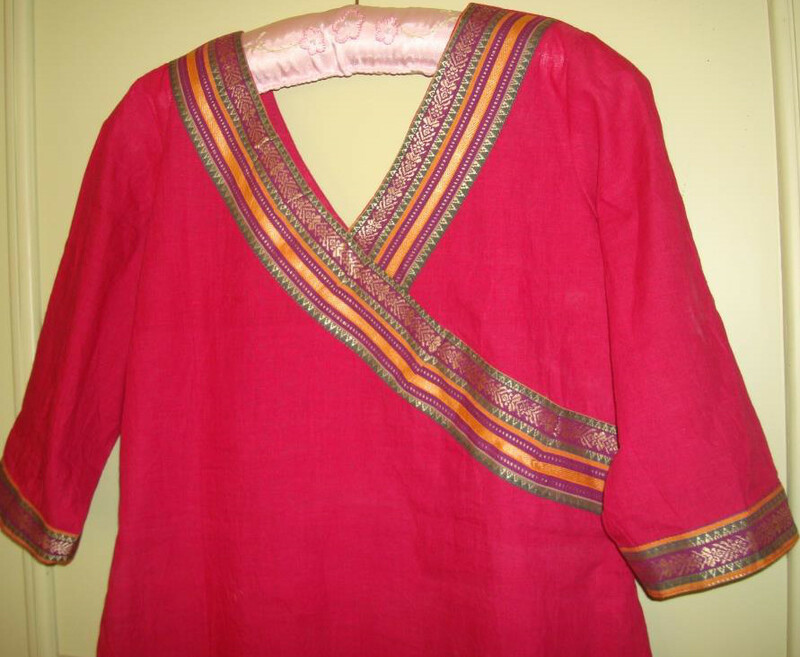 The fabric colour was so pleasing and cool, I did not want the embroidery to overpower it. Four big size square mirrors outlined in chain stitch with silver metallic thread and embellished with silver beads completed the embroidery. 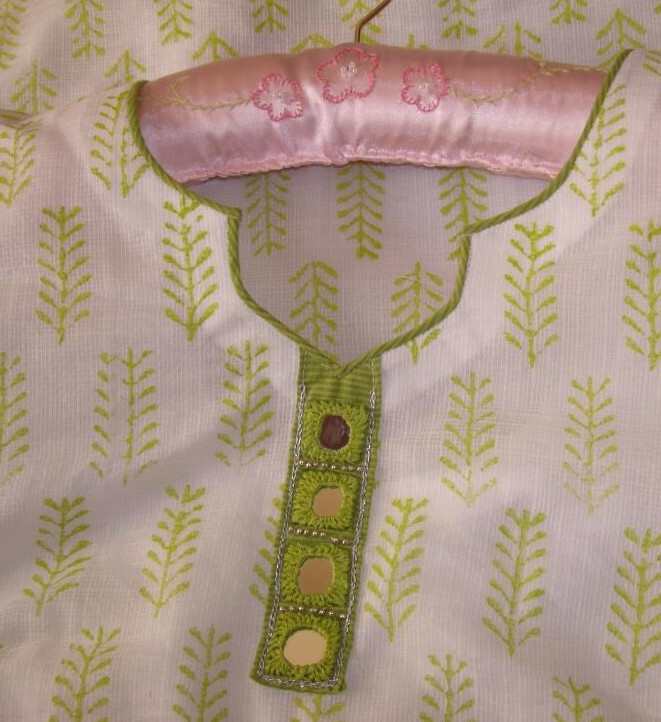 The same green striped fabric used for the embroidery was used for outlining the neckline and sleeve borders. 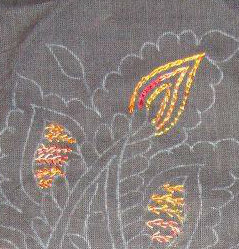 The detail of the neck and embroidery. it is hard to take pictures of big mirrors!